Remember SHA the social network? 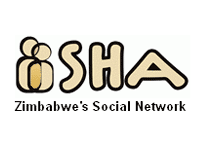 Well it was one of Webdev’s attempt (and one of the many attempts by local startups) at building a social network for Zimbabweans. A more local Facebook if you want. Well, it’s down. The site right now shows an “Under Maintenance” banner. We initially took that to mean they had killed the service, but was later told by the Webdev MD, Garth Drummond, that they’re rebuilding the site for a comeback. “We are re-deving it with more content and better functionality,” he said in a conversation we had with him today. The site has been down for a number of weeks at least. Based on the Jomsocial Joomla extension for social networks, the site was launched almost 2 years ago to provide more localised social network. 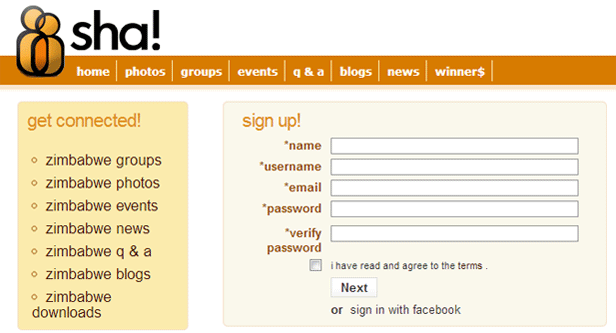 The site faced uptake issues only managing, according to WayBackMachine, only about 2,800 members in the two years. One of the main causes of the uptake problems may have been the fact that current dominant social networks like Facebook and Twitter, are actually full of local content (local content on a foreign platform) so the problem case was probably not strong enough. Unfortunately, Webdev switched the site off without any warning to members. At least I know I didn’t receive any. Would have helped so that those of us that contributed content would choose what to do with it before the site went down. Webdev is one of the few companies locally to score some successes online particularly with the classifieds.co.zw website which is the biggest online classifieds service in the country. The company also provides web development services and is one of the biggest firms in that business locally. 2800 is a lot in zim statistics. lets see what happens now.